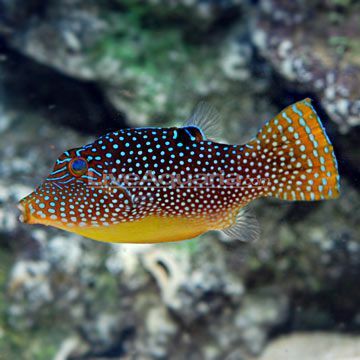 Spotted Toby Puffers are not reef safe as they feed on invertebrates and will take bites out of corals and rocks looking for food. They do well in FO or FOWLR tanks but shouldn’t be kept with aggressive fish as they’re shy and can be bullied very easily. Sometimes they don’t eat enough or not at all and you need to be careful that they don’t get too thin and die of starvation.